Native plant guru Lynn Steiner spoke to a packed room at the Friends of the Northfield Library annual meeting last night and I’m pretty sure everyone who attended left the event very excited about planting more natives. Lynn has a real passion for native plants and she makes a persuasive case for using them: Native plants create environments that encourage birds, wildlife and insects that are native to our region, they offer a “sense of place,” they are well-adapted to our vicious climate, and they are beautiful! Butterfly weed (Asclepias tuberosa) — I have seeds that I’m using to start this lovely perennial, which is one of very few plants that monarch butterflies need in the caterpillar stage. These plants like good drainage and full sun and offer broad clusters of flowers through most of the summer. 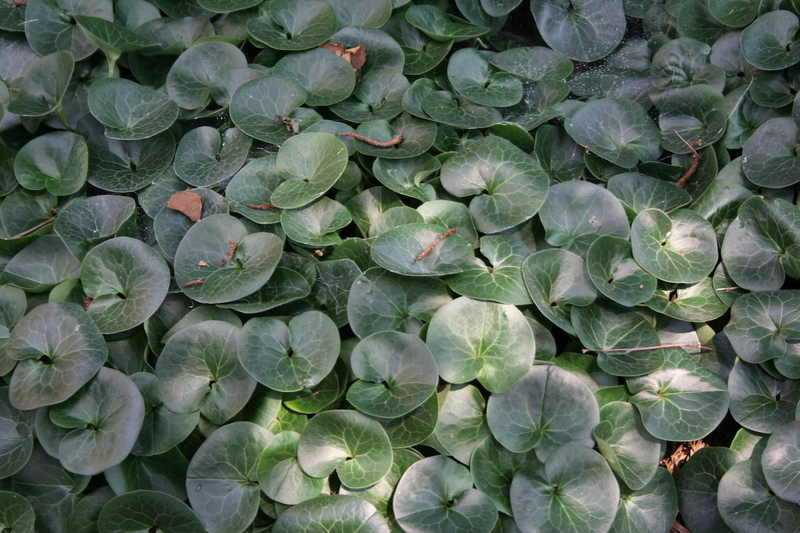 Wild ginger is a great native groundcover for shady spots. Wild ginger (Asarum canadense) — This groundcover is a native of deciduous forest floors and will be perfect in an expanded bed I’m planning under an ash tree in my backyard. Lynn recommends planting spring ephemerals (plants that go dormant after spring bloom) near wild ginger, which will fill in after the ephemerals. Harebells (Campanula rotundifolia) — An airy plant with delicate violet, bell-shaped blooms, harebell does well in rock gardens and other dry sites. 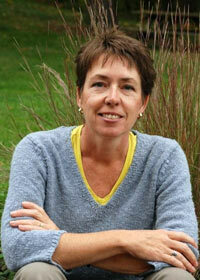 If you are interested in planting more natives, check out Lynn’s book — it’s available at the library! Also, the handouts from last night, which include more plant recommendations as well as a list of garden plants that are becoming invasive, are available at the circulation desk, too. You’re right, planting native plants has numerous benefits. It’s a win-win situation for us and for nature. Great post!